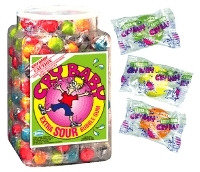 Cry Baby are ultra tangy and sour bubblegum. 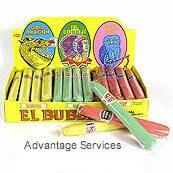 Plastic tub contains 240 gumballs in assorted sour flavors. Each gumball is individually wrapped.